Discussion in 'Members Personal Layouts' started by Dave C, Dec 5, 2016. 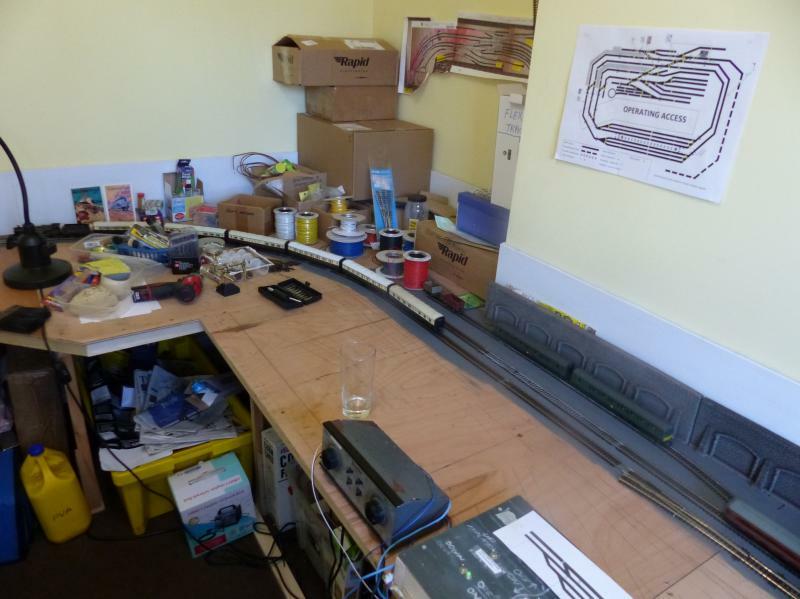 My father in law has had a model railway in his 8’ x 6’ shed of a number of years. 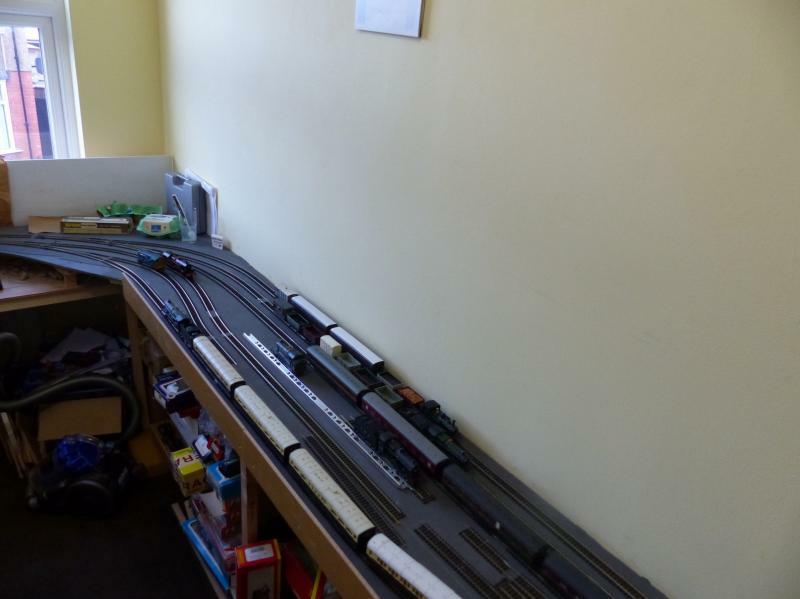 When I met his daughter (now wife) some 16 years ago he had steel track which was rusty, and rodents had passed through on several occasions. Access was by crawling under the board at the door – not ideal. 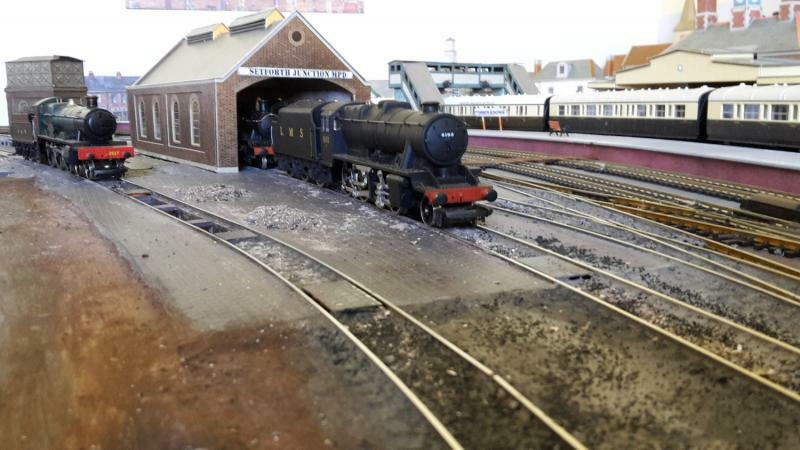 The steel track was lifted and replaced with nickel silver, and an oval of track with terminus station inside, and sidings back down one side and an industrial area the other revitalised activity. I had always viewed his double length carport with a desire to get an out and back layout, but never got him to get his priorities right! 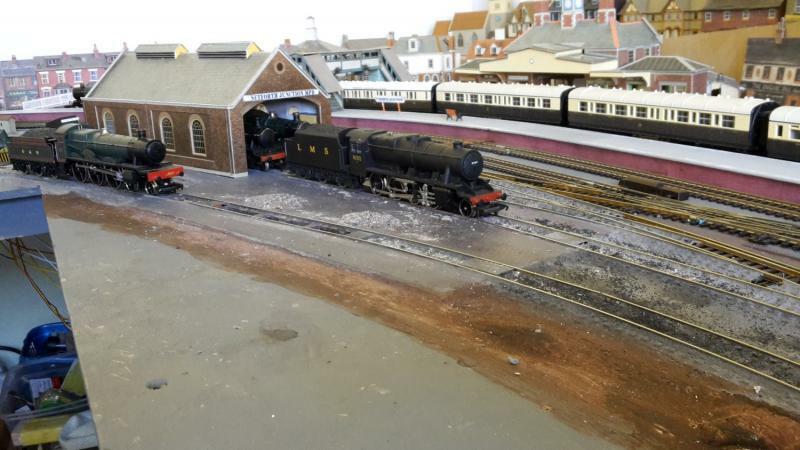 However, when he moved in next door in 2015 and a spare bedroom was available he did J And so Setforth Junction was born in February 2016. 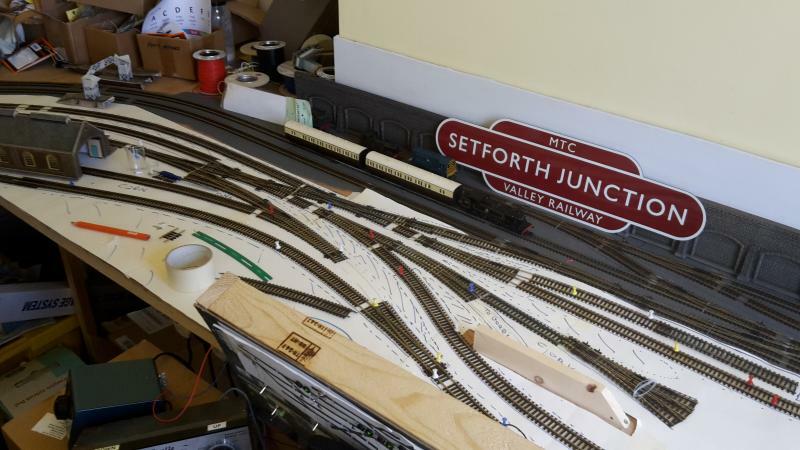 Built in the 1870's Setforth Junction was a busy junction serving the mail lines from South West Birmingham and the Worcester Countryside. Mainly passenger traffic with heavy freight between London to the West Midlands. 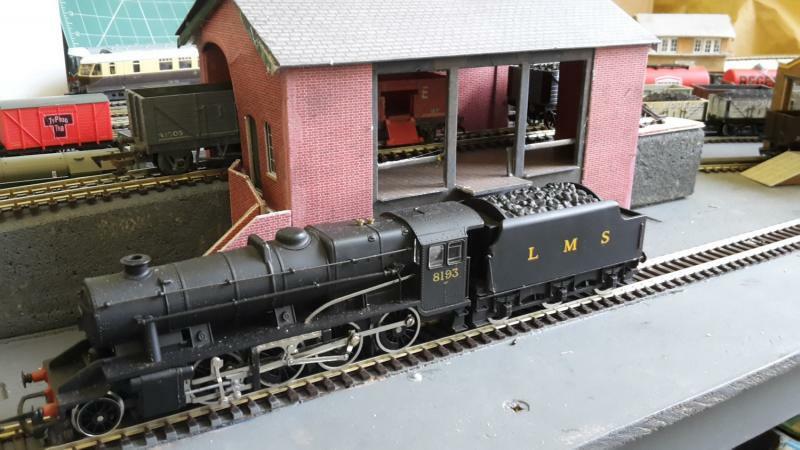 Local freight consisted of bringing farming produce from the Malvern Hills via a busy branch line serving Clamberley, Wyre Piddle, and Itchfield, with its terminus at Bishops End. The Rhodesian Apple Blight of 1929, and the shift from cattle to arable farming brought a decline in the local freight, but the local brewery survived by diversifying into craft ciders, whilst still retaining the traditional brewing methods. Setforth Golden Harvest cider now has a worldwide reputation. The line from SW Birmingham was closed in 1937 and the platform and connecting bridge removed, but 3 main line passenger platforms remain in daily use. Setforth Junction used to be the base for the banking engines used on that line, as it was positioned close to the bottom of Willey Bank - the loco depot and turntable remains albeit the facilities are much smaller than in the early 1900's. Setforth itself is a busy market town. The local cattle market closed some years ago, and the cattle facilities removed and replaced with a warehouse for the Suppit Hall Brewery. 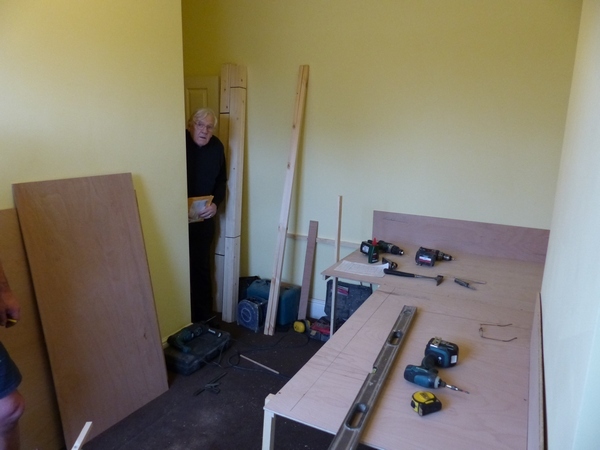 And my Father in Law popped in every now and again to check on progress. 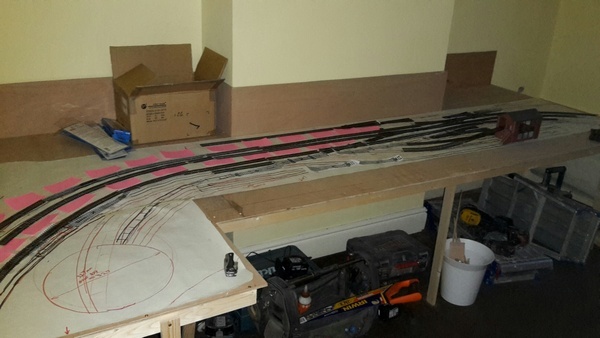 And then using track templates and a roll of lining paper the plan was converted to a rough track layout. 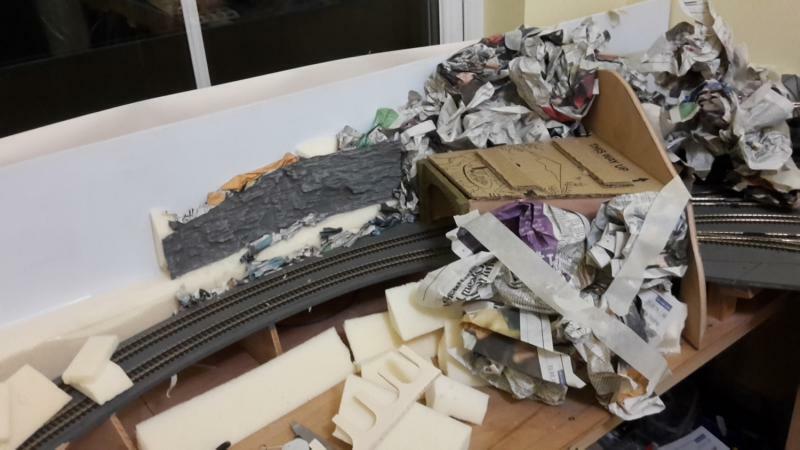 And then with carboard mock ups and old rodent and damp damaged buildings some pre existing rolling stock was added to test theories and assumptions . And that took us until the end of February. 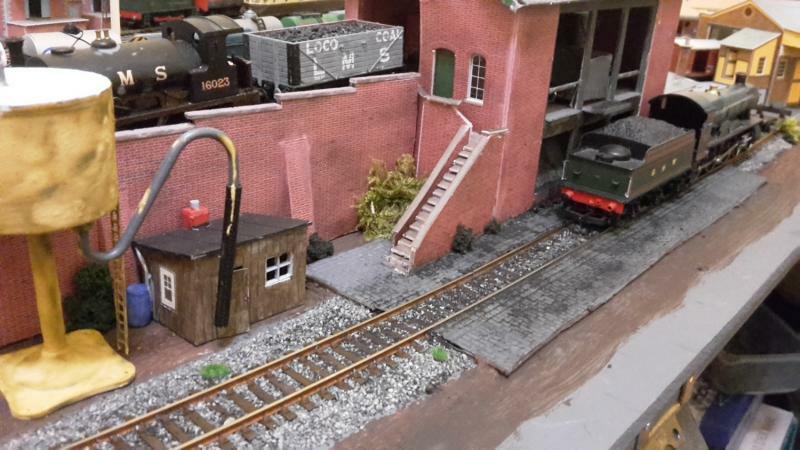 What a great scene to set for the beginning of your layout. 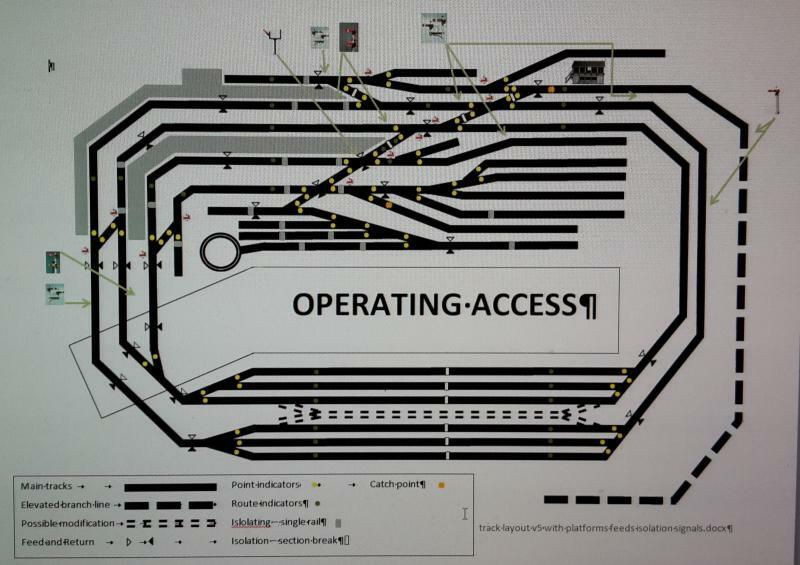 The track plan looks very involved with tons of operating potential. Mind and keep us up to speed as things progress. Looking good, what kind of plywood you use on your baseboards? 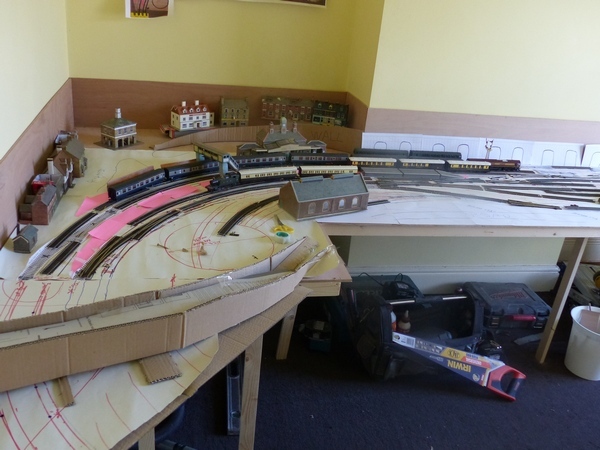 Always good to see a layouts life from the beginning, and looks like you'll both have plenty of operational interestr as well. 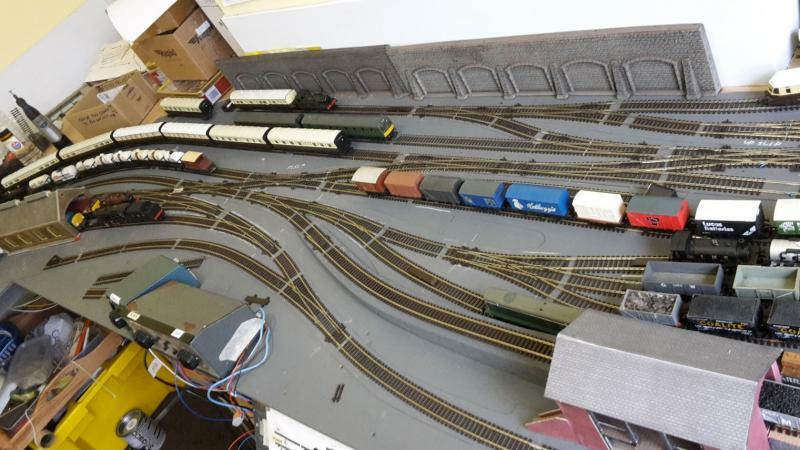 Great start to a new layout thread. I like the story behind the railway and the businesses that were looked after by the railway, excellent. Looking forward to the ongoing build. Keep us updated. Like the look of this one because it should be interesting to operate. Keep up the good work and keep us up to date with your progress. What a great photo of your Father in Law popping his head in to check on things. 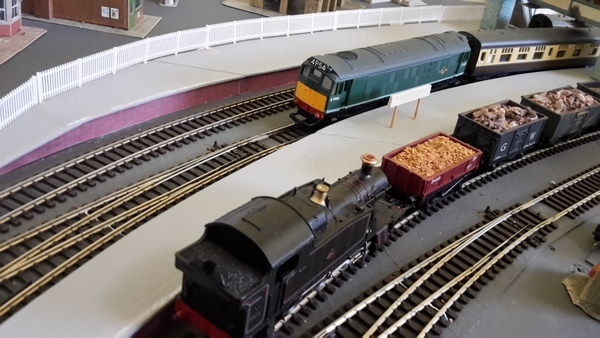 The beautiful thing about trainsets is they can be passed on from generation to generation and no matter how young or old we are they are a thing of joy. 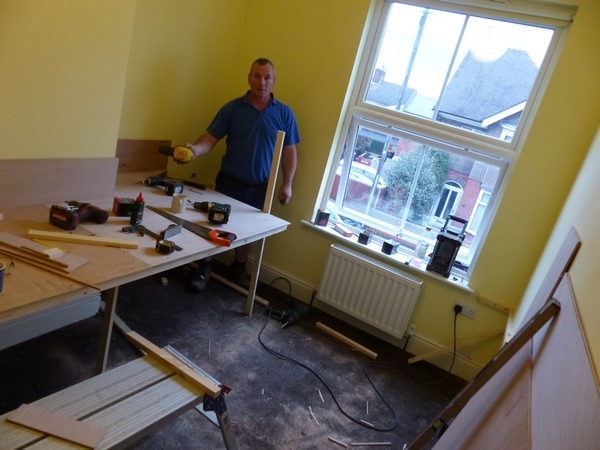 I am keen to see more photos of the progress as it happens. 9mm ply sourced from a builders merchant rather than a DIY shed as I believe you get much better consistency and quality. The uprights are 35mm x28mm and the bracing is 42mm x 19mm at approx 18 inch centres. 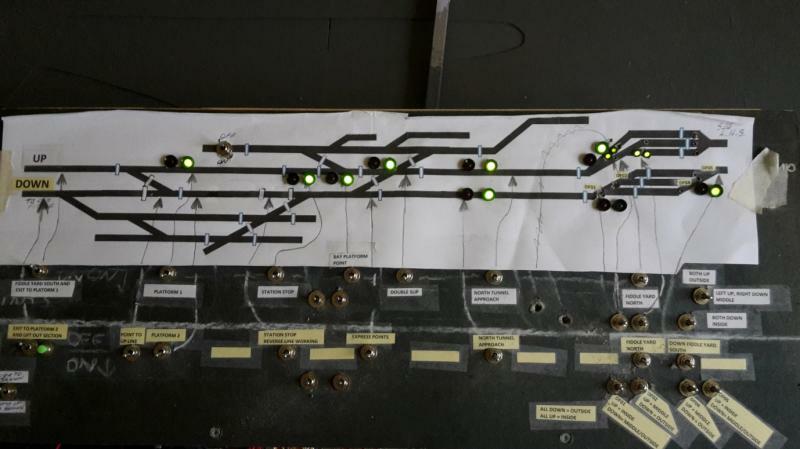 March saw cork being laid for the running lines and painted, and the bulding of a temporary control panel. Its 12v DC control, with 20v AC supply for points (via a CDU) - keeping it simple! 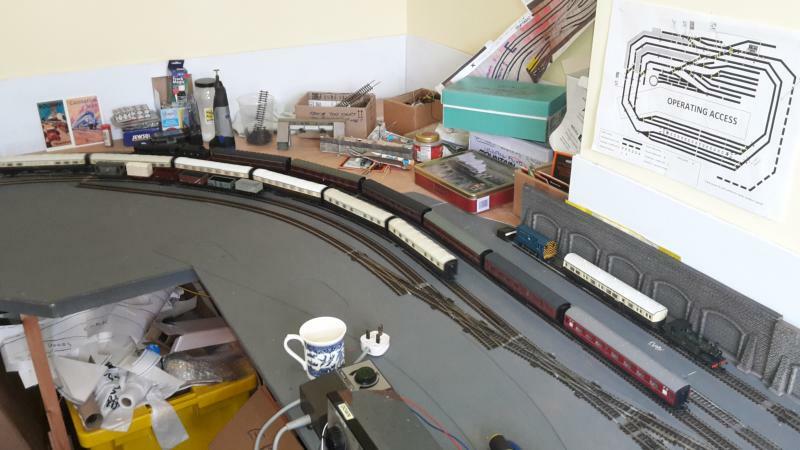 And for the sidings and industrial area. Great progress Dave good to see. Fantastic videos. Some really smooth running as well and the sound is a winner. Keep us up to date with how you are getting on. And here is a trip from the MPD to the sidings with the 'hand of God' on 1 occasion. Given how long it’s taken to get to May on this forum I thought I had better jump a few months before I get 12 months behind! 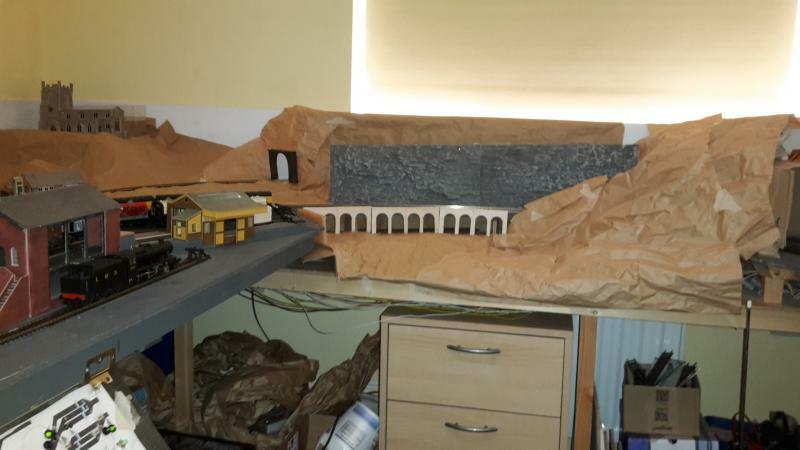 August saw the first mock ups of the scenery to the north. The resin arches proved easy enough to bend to the curve once simmered at 100 degrees for a couple of minutes, and Nigel (my Father in Law) immediately christened it 'Dribblesdale Viaduct' given its small size and stream flowing under it. I need to point out at this stage that Nigel is a BASF pensioner, hence the blue barrel by the hut! You`ve come a long way. 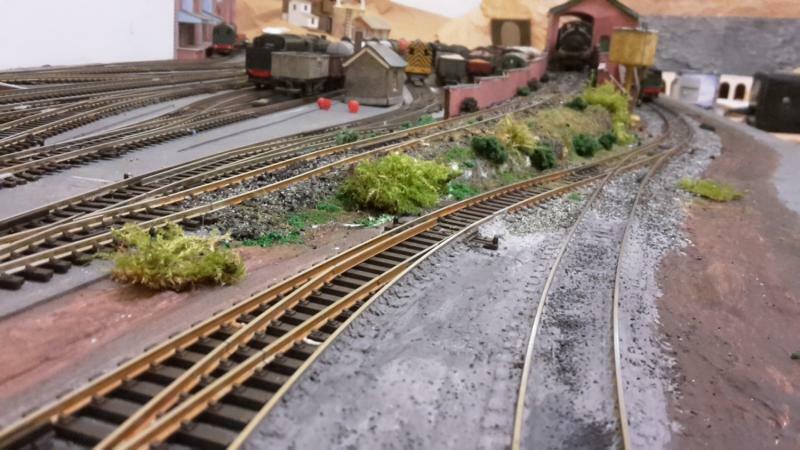 I like your whole railway and can see a lot of potential there for the future....it`s going to look really nice. How long are your platforms....they seem huge in the videos.???? Each platform can take a 7 coach train plus loco. 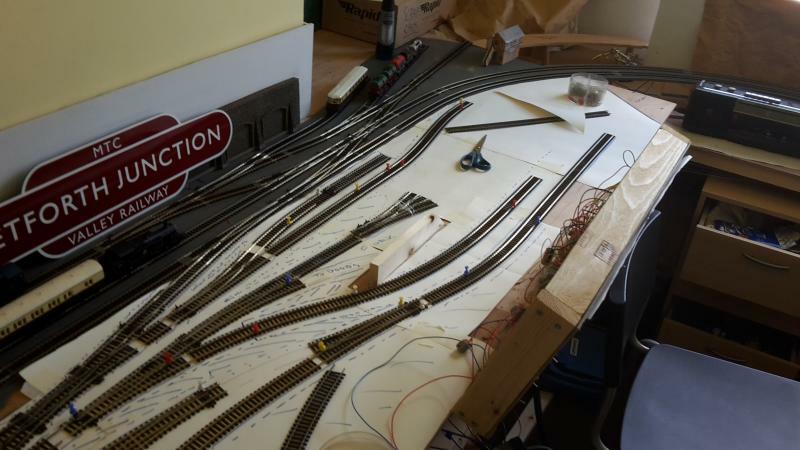 Intention was to have decent length trains running, so putting the station on the curve allowed for that plus room for point work to sidings / MPD / branch. 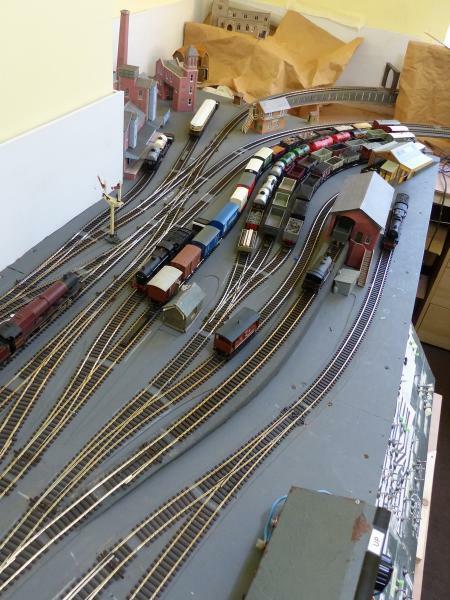 The actual limitation is the fiddle yard, as only 1 loop in each direction can accommodate 7 coaches plus loco - the others are 6 plus loco. I enjoyed your video on platform building, particularly as you covered the scribing on a curve. 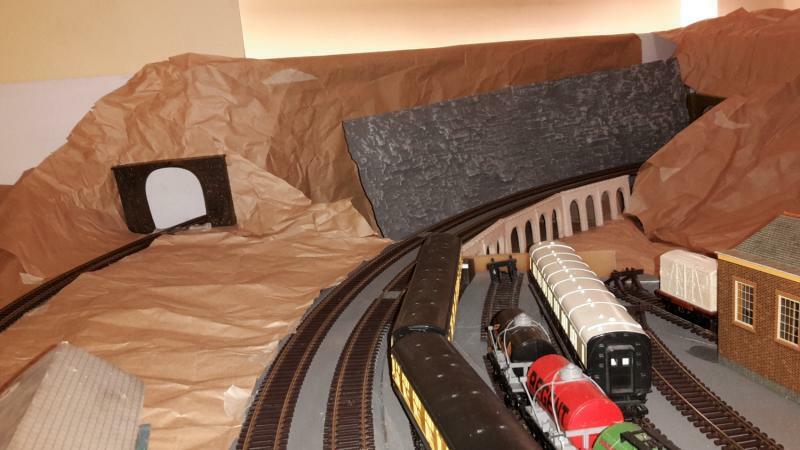 As tempted as I was, I concluded our objective was to get things operational so we opted for plain 'concrete' platforms, and have recently added some patching. Seven is a good length......my maximum is five but you`ve got to start somewhere so that`s what it is. 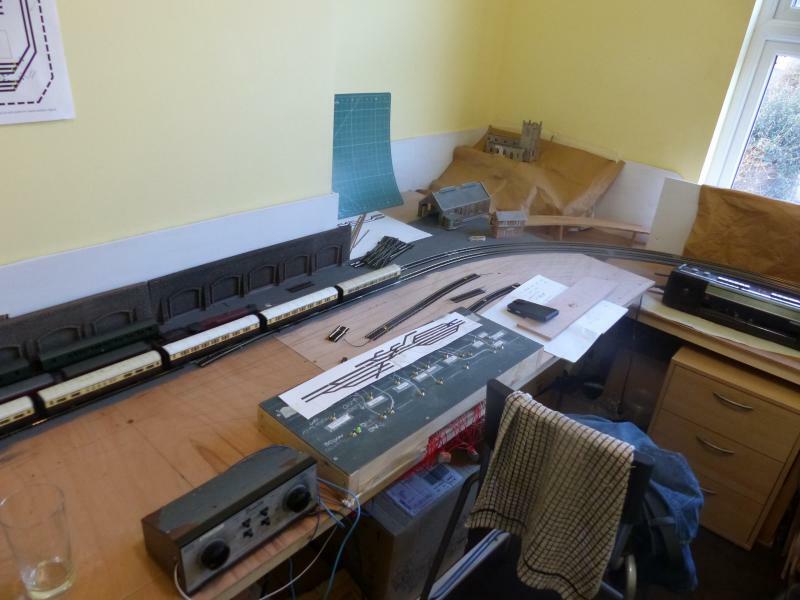 I can fit more into the station length but the fiddle yard is the problem....same as you. 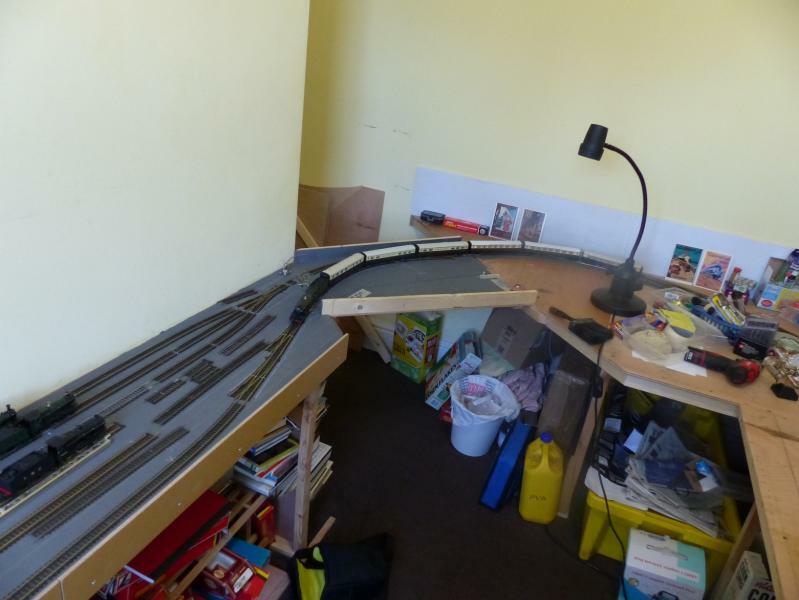 I gained some more length in the yard by placing points on the curve, however the other end is covered and I didn`t want points where I couldn`t reach them, so I compromised on train length. The platforms were an absolutely mind numbing exercise.....sometimes I think I must be crazy to take on some of the stuff I do.???? I will watch on with much interest and keep up the good work.